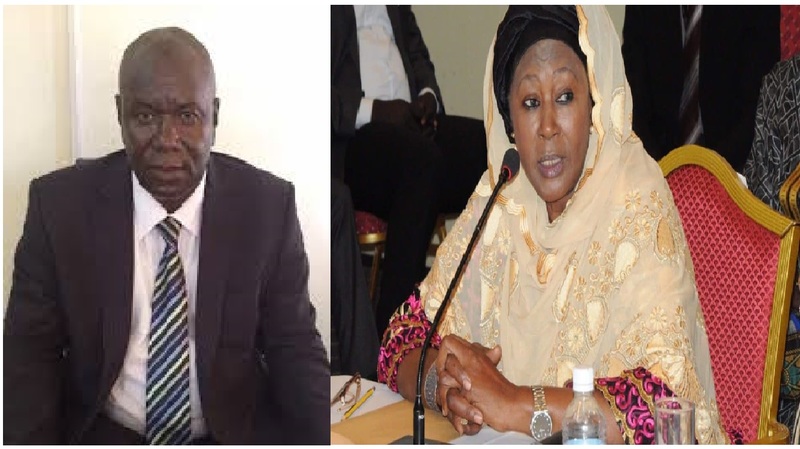 Sanna Dahaba MD National Disaster Management Agency, Commissioner Barry Georgetown, Alhagi Sillah MP Niani, and VP Fatoumata Jallow Tambajang are the people responsible for overseeing the flood disaster relief that were donated to Kuntaur and surroundings. The NDMA is directly under the office of the VP. All funds donated were either donated through the VP or the VP has controlled of the funds. When Gainako interviewed Mr. Dahaba in January he told us funds donated by GDF and other agencies were with the office of the Vice President. Our interview with commissioner Barry the public were assured of accountability and oversight of the local area committee. The Kuntaur disaster shocked the conscience of the nation and the world. The whole country within and outside converged on Kuntaur to help the victims. Donations in cash and kind poured into Kuntaur lead by the opposition GDC, KERR Fatou and other institutions and Diplomats. The Chinese donated $100,000 D4.5 million Gambian dalasis. An alleged account was opened under the office of the VP to combine the funds for a more coordinated response and prevention against future floods. The people were hopeful and kuntaur floods appeared to be a test of a nation’s strength to response to it’s citizens during times of need. To the dismay of the local people and the world, seven months later and just on the verge of the start of the rainy season, nothing has been done in Kuntaur. No preventative measures are put in place to prevent another flood disaster. Studies upon studies have been claimed but nothing has started. Where are the funds that were donated to the people? Who controls the funds and most importantly who cares what will happen to kuntaur and its residents? Neither the VP, the Commissioner nor the NDMA is willing to take responsibility of this failure and lack of follow up. To be honest the VP and her office are becoming a disappointment to Gambians. Here is the nations mother who stood tall and fought against dictatorship. Almost every Gambian was a strong supporter of the VP. Now that she is in office power has become sweet and comfortable. Nepotism rearing it’s ugly head, transparency kicks itself goodbye. The one time hope of the nation is slowly entrenched in power and nothing else seems to matter but themselves. The Gambian people are wondering what happened to conscience? Why is it that no one seems to care about the welfare of the people? The people of kuntaur and Niani are demanding accountability for funds that were donated to them. The local MP alleged on a Facebook live show by Surahata Fatty that he cannot reach the vice president after several attempts. Several attempts have been made to reach MD Dahaba and Commisioner Barry to no avail. The local MP allegedly awarded himself a contract to repair the community center. An absolute conflict of interest that breeds open corruption. It is an open secret that when projects come to kuntaur they are awarded to the most connected and most affluent. No one dare speak especially the youths who are often threatened of destruction through unproven believes. It was also revealed that the Qatar government visited Kuntaur and pledged to rebuild the town. No one heard this through the media or the public. They encourage backroom donor funding so they could get their share of the pie. Corruption and favoritism seems to be fair game in this and many parts of public life in Gambia. Kuntaur is one heavy rain away from another national disaster. At the very least, trenches for water drainage could have been dug. Cement wall levies could have been erected to prevent the river from flooding homes again with the slightest rain. The sad part is that it is too late to embark on any major projects as the rainy season starts any day now. It is however inexcusable for this embarrassing failure to utilize the resources that were donated to address the issues that the whole world witnessed. The people want to see their money. The VP office has the responsibility to instruct the NDMA to immediately address this issue. In fact, the VP is in control of funds that were donated directly through her office. This kuntaur project will define how much Gambians will respect the office of the VP. The burden is on the VP, the NDMA and the Commissioner to produce the people’s money. Anything less they risk a permanent rift between local youths and the government. The people demand their money and the problems fixed!